“Aria & Avia” combine dramatic architectural features with the intrinsic weightlessness of the materials from which they are made. 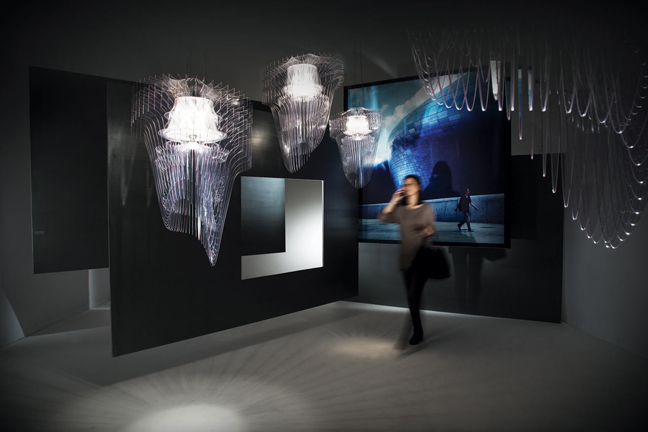 Presented at euroluce during Salone del Mobile 2013, “Aria & Avia” lamps designed by Zaha Hadid for slamp combine dramatic architectural features with the intrinsic weightlessness of the materials from which they are made, creating illuminated sculptures that fascinate and enchant their observers. 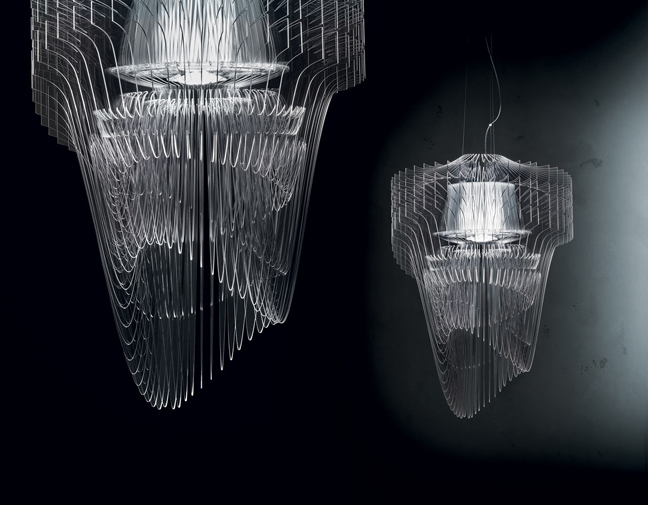 Over 50 individual layers of a techno-polymer medium work together to make the hanging lights seem as if they are about to take flight, characterized by complex yet harmonic forms that embrace their brilliance in a veiled breath. The large fixtures are formed from a central structure capable of flooding an entire room with 360 degrees of ample illumination, thanks to six lucent sources and a spotlight directed downwards. The hanging pieces bring together the majesty of great architecture for day-to-day use, perfectly integrating large volumes with advanced lighting techniques and technology. Available in four different sizes, they are capable of adapting to any kind of interior environment: two smaller sizes, ideal for use at home and two larger versions for enhancing large-sized rooms. Charged with Hadid’s dramatic sense of motion, the ‘aria lamp’ is composed of 52 different layers of opalflex which transform it into an object of admiration with soft, amplified tones and reflections. 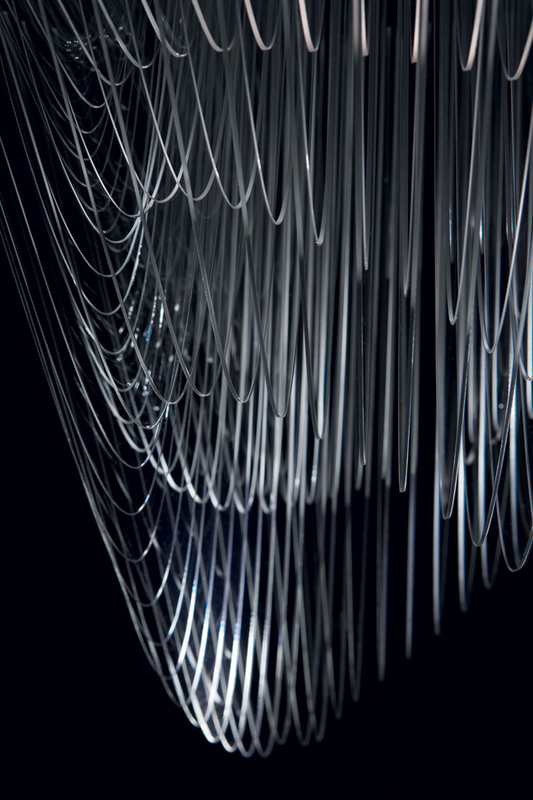 With its 50 layers of crystalflex material forming its shape, the suspension light exudes a complex harmonic yet fluid contemporary quality, with its translucent black overlay.